All Replies on what edge guide to use with Dewalt 611PK router? 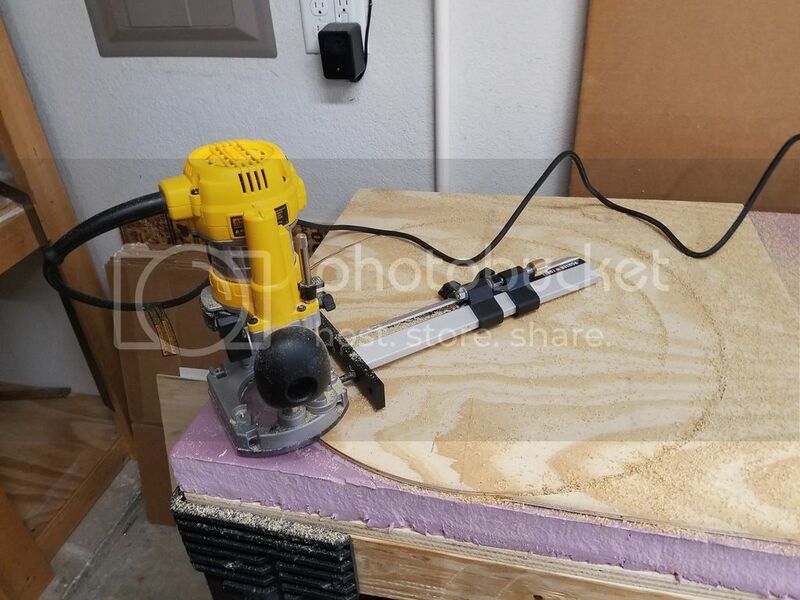 what edge guide to use with Dewalt 611PK router? I have the 6913 that I use with my 618 router. I also have the 611 and two other edge guides. One is a Bosch and one is a Porter Cable. I was thinking that the Porter Cable 42690 edge guide fit the 611, but I would have to double check. The DNP 618 is the edge guide designed for the 611 router (confusing numbering system that the DNP 618 doesn’t go with the 618 router). I’ll check it out tonight and get back to you. This video review appears to show the 6913 edge guide working with the 611 plunge base… http://lumberjocks.com/reviews/2066 The 6913 is a nice guide. I use the DW6913 with my 611 plunge base. Very handy for cutting mortises. Has anyone used the M-Power CRB7? A lot more expensive though. 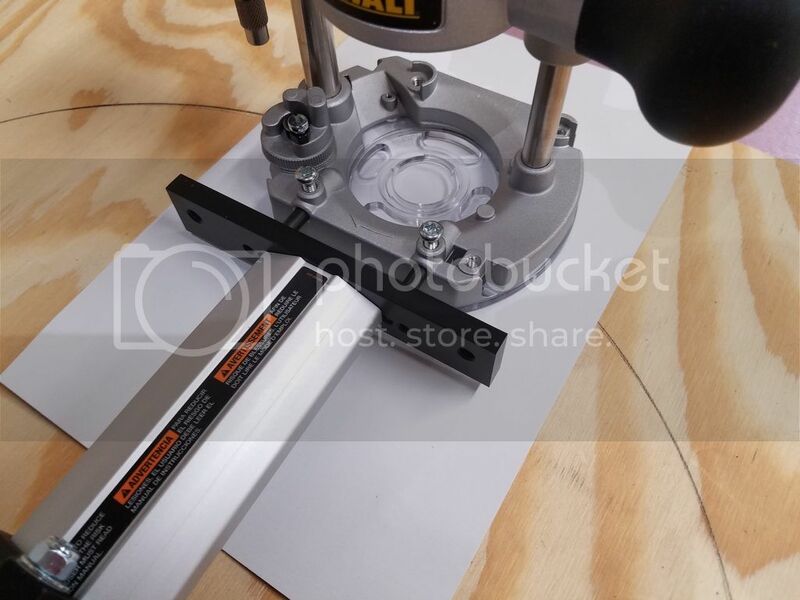 I have a Dewalt 618 router and this base/guide is suppose to work with the router. I don’t have that router, but B&D makes a pretty nice multi-purpose router guide that has fit on just about every other router I’ve thrown it at (it comes with it’s own base plate)... and it can be found for about $10-$15 online. I asked in another thread (another WW site) about what is considered the guide designed for 611(and probably a bunch of other dewalt routers) and to my surprise it is the second option which is( as Pinto mentioned) DNP618 but when I search for a “edge guide for DW611” I get DW6913. Pinto , wisBob,Steve, thank you for the info, Now I know for sure the 618 will work. Mr Unix, the B&D looks like a well made guide,I have read a lot praises about it, and the Bosch guide but I’m thinking a universal guide like that is more likely to have some flex with 611, I just want to buy the right one once and for all,unless I know for sure it’ll fit a 611. Thanks for all your comments / help. Sounds like you found what you needed with the 6913. For anyone else looking, the Porter Cable 42690 edge guide also fits the 611 plunge base. 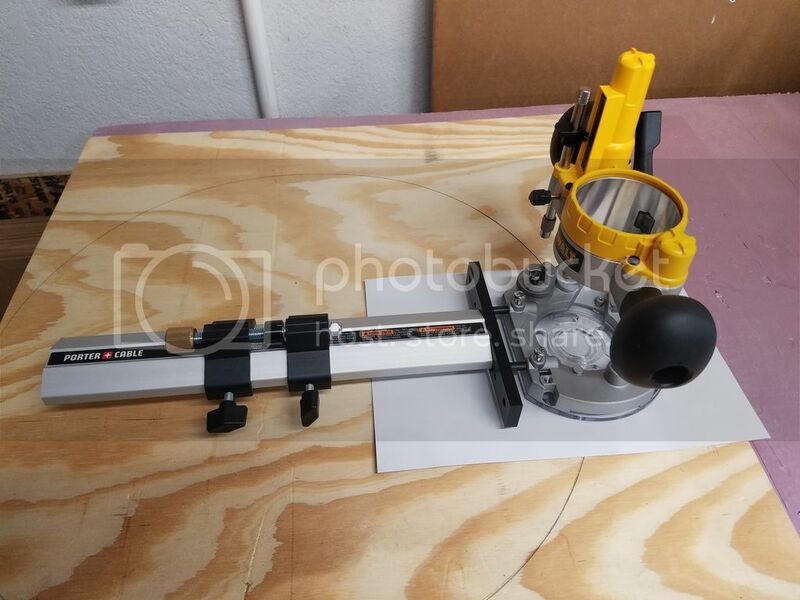 Pinto, thanks for getting back to me, it’s good to know that the PC-42690 also fits the dewalt,it is also a circle cutting guide which is a plus, overall a well designed guide. I haven’t ordered any of the 3 you have mentioned but that Porter Cable guide seems to be the winner, it’ll fit my PC router as well, thank you for the suggestion. Joined up just to say thanks for this thread! I had this question as I wanted to find a guide that would work with both the 611 and my ancient series 1 PC6902. Asked Woodcraft but they said it wouldn’t work. Asked Rockler but they said it wouldn’t work. Asked the Dewalt Service center and they assured me it wouldn’t work. BUT my B’S detector didn’t like those answers so, if I got the pictures posted correctly, you can see for yourself. PC edge guide attached to Dewalt plunge base, no problem. Parts fit exactly and tightened securely. Cut 18” circle no sweat. Great way to peg the “BS” meter, 1950Hudson! I’ve just received my 611, and about to order the 42690 because of your great pics! One question- what is the size ( pitch and length) of the 2 silver screws you used to attach the guide to the 611? I know the guide comes with 2 sets of screws, simply called ‘long’ and ‘short’. But I’d love to know the specific size so I can get a couple of spares. Seems like I’m constantly losing those buggers!